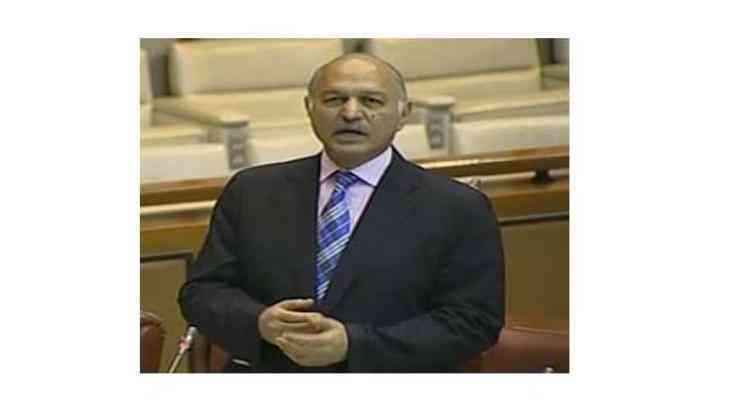 Stressing on improving ties with India, Pakistani Senator Mushahid Hussain has said, that New Delhi and Islamabad should have a strategic stake in each other's economic development backed by the political leaderships. "We as nations should have a strategic stake in each other's economic development backed by the political leaderships," Hussain said during a public conversation with former broadcasting & information minister of India Manish Tiwari at the Atlantic Council in Washington D.C. on Monday. The conversation focused on the influence of media on public perception in both the countries. Hussain highlighted that improving ties with India has always been on the political agenda of the past and present democratic and military governments. He also stressed on the importance of unity among media from both the nations and said there should be a free movement of books, publications and news between both the countries. The remarks by the Pakistani Senator comes at a time when tensions are running high between the two Asian neighbours amid a spree of ceasefire violations and cross-border infiltration from Pakistan side. Condemning the suicide bombing in Lahore which claimed more twenty six lives and left about 50 injured, Hussain said, "this attack is a heinous attack against humanity, it reinforces the view that Pakistan is a victim of terror and terrorism has no frontiers and boundaries. Pakistan and India should come together and combat terrorism." He added that the whole of Middle East is imploding but Pakistan is the freest Muslim democracy. A high level U.S. delegation is expected to visit Pakistan in August to have a dialog with the Nawaz Sharif government and leadership.